This book deals with the philosophical, historical, descriptive and experimental aspects of music therapy. 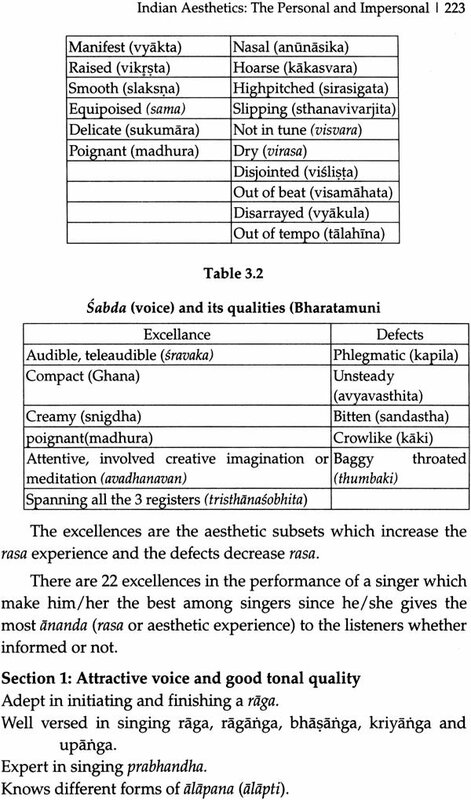 Taking a close look at the eastern and the western perceptions of music therapy, it views the Margitradition of music and its origin in the Veda. Further explaining the archetypal, historical and living singer effect, with special focus on Rama, Krishna, Tyagaraja, Meera, Yesudas and Subbalaxmi, its discusses at length the origins of the desi (local) tradition of India with Matanga’s Brihaddesi. Also, it presents an inter-disciplinary comparative study of both modern and ancient concepts of astronomy, Yoga, psychology, medicine, music, philosophy and cultural heritage. Dr. Suvarna Nalapat, an MD in pathology, has a vast experience of 32 years of teaching undergraduate and postgraduate classes. She was Professor and Head of Department of Pathology at Amrita Institute of Medical Sciences and Research Centre, Kochi; Consultant Histopathologist at Endocrinology and Immunology Laboratory, Kochi; and Associate Professor of Pathology at Kerala Government Medical College, Calicut. Besides a large number of research papers published in national and international journals of repute, Dr. Nalapat has to her credit many acclaimed books including Amrita Jyoti: Comparative Study of Religions, A Rediscovery of India through the panchasidhantika of Varahamihira, Mudra: A Literary Criticism of Ujjainy. Also, she has participated in many a seminars and conferences and delivered lectures on Music therapy. Besides a large number of research papers published in national and international journals of repute, Dr. Nalapat has to her credit many acclaimed books including amrita Jyoti: Comparative Study of Religions, A Rediscovery of India through the Panchasidhantika of Varahamihira, Mudra: A Literary Padmasindhu, Sudhasindhu, Brahmasindhu, Paatheyam, and Without a Stumble: A Book on the Spirituality of Music. Also, she has participated in many a seminars and conferences and delivered lectures on Music therapy. Wherever I go for lectures/demonstrations or speeches, people ask me either of these two questions. How a doctor/a pathologist can speak on these subjects? How do you find time for all these things, domestic and professional activities, writing books on very serious subjects and social work? I have been answering these questions for a long time. When I write this book, the first things that comes to my mind is “I sing, therefore, I am,” a slight modification of “I think, therefore, I am” of Descartes. The very first talent a child develops is singing, cooing with tunes heard, may be that of a koil, or a lullaby which is ragaless, rhythmless, but rich in the bhava of love, compassion, creating a feeling of security, a feeling that I belong. I was a child, born and brought up in an atmosphere of literature, philosophy, poetry, film song, and socio-political activity. I become a doctor only at the age of 25. Till then, I was doing exactly what my predecessors/ancestors did. My first language is not that of a doctor/pathologist in the conventional sense but, in an unconventional way, even these activities belong to the realm of pathology. 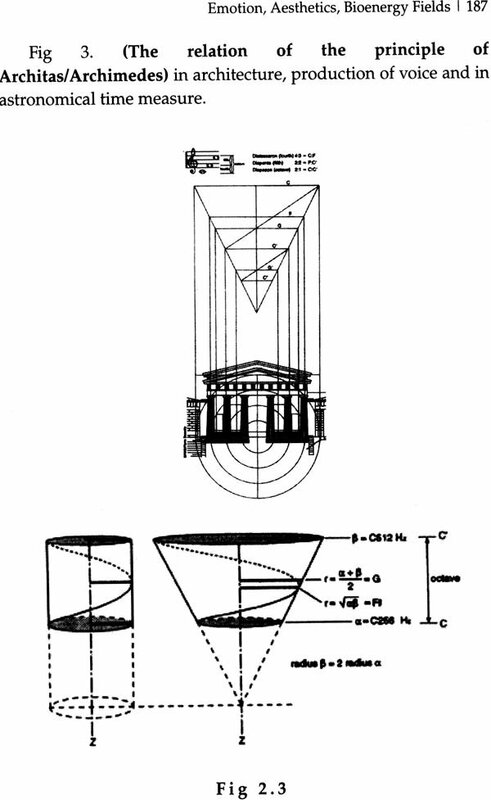 ‘Pathos’ and ‘logos’ for me are not merely diseases and its knowledge. The derivation of the word ‘Pathos’, and its actual meaning is not disease, but a rich expression or bhava of compassion evoked by a sad event or suffering, and ‘Logos’ is vidya, both apara and para (knowledge and wisdom). And, in that sense, I am a pathologist when I do a compassionate thing, when I experience the bhava of compassion with a piece of art, or with a human being and try to learn the being and becoming by experience (own and others). That is my answer to the first question. Coming to the second one, it is hard to answer, because I had learned the art of time management in the hardest possible way. 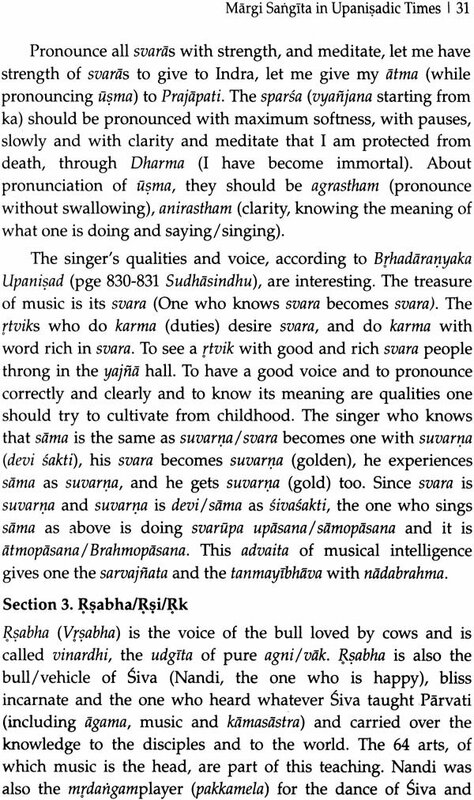 Life, like music, is an ordered rhythmic activity, beautiful, yet totally non-predictale, since the singer, God may decide to apply some rare manodharma, change the entire course of the artpiece creating a new bhava and rasa. Therefore, the rhythms and patterns of life change, and we have to get adjusted to every new epoch, get the timeorder altered according to it, so that it is most enjoyable to us and to those around us. This self-organisation in life is made easy with music and I have kept a time schedule to do things in different epochs of my life. While I was 8 years old, our family had two deaths at an interval of 6 months. What is death? How does a person die? How do we come to the earth? These are questions every inquisitive child asks in childhood. My inquisitiveness about the secret of life and death led me to the disciplines of biology and medicine. And in this profession you are constantly aware of disease and death and its aftereffects on the family. The things that a dying or ill person speaks are often neglected by the living as nonsense. But they are the most sensible things a human being speaks. When you are about to die and leave the world, only the true things are spoken. 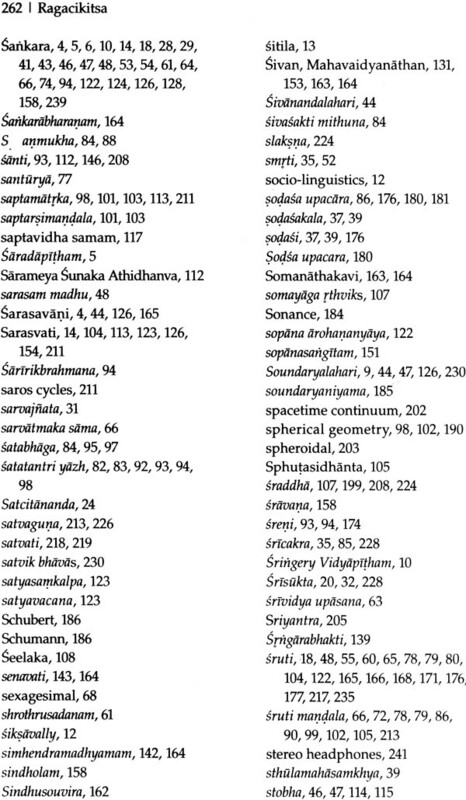 Many of these are belonging to the realm of ESP (Extra Sensory Perception). Music therapy is a field where the practicing therapist will come across several such narratives, biographies and visions from the clients. They should be thought of and analysed, and compassionately handled, instead of saying that the client is mad. I had several occasions of such experiences and the death of my husband, and his near death experience three years before his death, gave me lot of insight into the process. Being a music lover from the age of 3 or 4, I had used music for education, for putting children to sleep, and for cognitive, memory skill development. But the use of it for a comatose individual to come back to normal self was for the first time in my life. It was a natural blooming up of what was in me as a lover of music that made this project possible, just like a flower blooms on a plant when the right time or season comes! 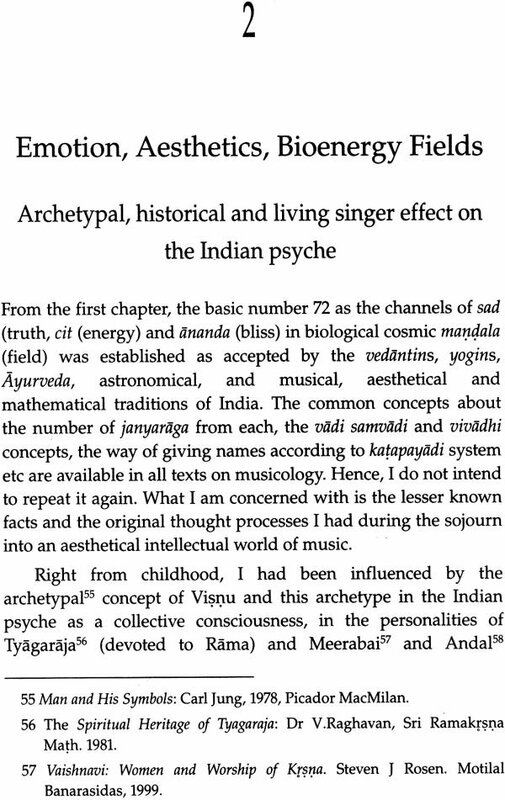 I did not have the classical background of Indian music, but I had a pristine love for the simple soft music of our land and my curiosity led me to the deep realms of classical music, astronomical, mathematical, Vedic and Upanishadic traditions to find out the similarities or parallels in them and that led to this interdisciplinary approach. Being a doctor, and interested in quantum theories, it was not difficult for me to link the western and eastern ideas. But what is the use if I cannot gave it to society? Unless the society is benefited, what is the use of an individual’s knowledge? Thus, evolved in a hospital scheme for music therapy using Indian music, which is spiritual, and a university programme with recommendations for a curriculum. 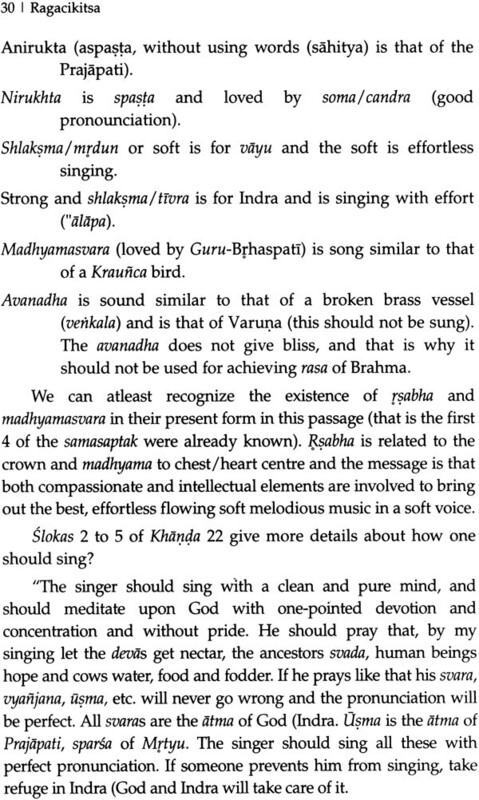 We cannot prescribe a music/raga like a medicine/drug. 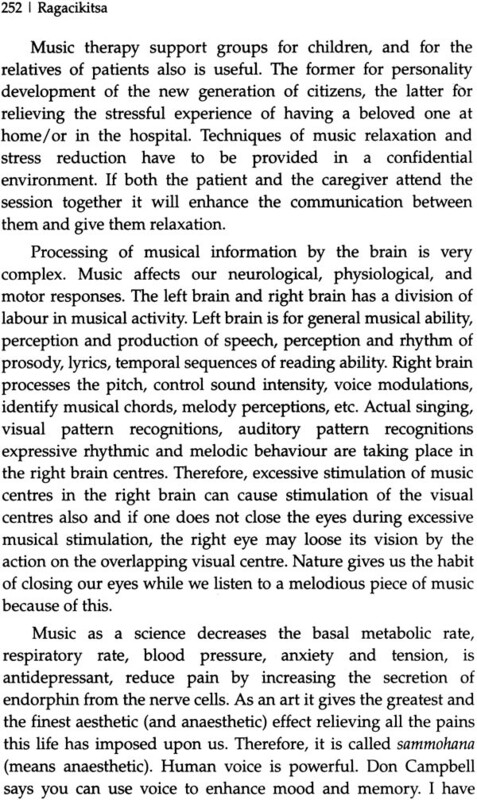 Music therapy is all about interrelationships, communication and narrative medicine involving compassion and love. I hope, the message of this book as that of love and compassion will reach out to everyone of my readers and through them to entire nation and the world. To become an educationist and to plan a way of life for the coming generations is no easy task for people who never have thought about the problems of the society and of education and its goals. For this activity, one may have to learn many arts and sciences, should have a loving mind, a sharp and extraordinarily receptive intellect, and love for nature and nurture. And one should have lives a model life for the students to emulate. In ancient India, every gurukula had a guru and a gurupatni, and the guru led an exemplary scholarly and personal life so that the students leant even the way of a good householder. Education, which I envisage for the 21st century teachers and students, I not for a sanyasi but for a normal human being living a householder’s life fulfilling all duties of the householder and achieving excellence in learning and in domestic/professional duties; a good citizen of the world and pride of the nation, useful to society, nation and world, and above all, to themselves, to their family and to the institutions they work for. Whenever an educational institution is trying to draw more students to it, apart from the curriculum and the syllabus, a feeling of oneness and a bond of love between the teachers and students is essential. The students, after leaving the institution, nostalgically remember the people who have given them love, a feeling of security. A good educational institution should be a home away from home, and good teachers should be giving parental (motherly/fatherly) affection, love, care and advice (counselling). They should not be line policemen and women making life difficult for them. Children are always good. The only thing that they need is proper love and care, not to turn to bad things and company. We have to revive the old gurukula system of India where the guru is a father/mother figure and the sisya is the son/daughter and in such a situation only one can give security a feeling of belonging to the students and by sharing their happiness and sorrows the teacher becomes part of his/her training programme and of life. Only by creating such an atmosphere, we can make a happy place to live in and study and work. The happiness (ananda) or bliss is always associated with sat, cit (truth and energy of intelligence). Happy environment is the best for intellectual and physical work. Each and every faculty member should be able to understand this and create such an atmosphere in the college campus and each and every student should be able to respond to it by their natural instinct. For this the gurukula should have good and happy teachers, as well as intelligent and free individuals leading a dutiful and pure domestic life. Health, according to definition of WHO, is not merely the lack of disease. The mental, spiritual and intellectual health also has to be taken into consideration. A multidisciplinary approach including Ayurveda, yoga, classical music, Indian philosophy of life if implemented in universities and in medical institutions and selected villages, giving all the benefits of existence to the public in all their spheres of development and therapy through a musical medium designated Ragacikitsa is a vision to achieve this result in the long run. The Gestalt Field Theory of Educational Psychology defines human beings as dynamic systems within dynamic systems growing by the environment in the field in which they live, and stimulate growth in the field of their existence. Section 2 What is Rasa?